This place was smaller than as described and 4 people could fit but that stretching it. There is only one actual bed.Place is a great location and had what we needed to stay comfortably with the half bathroom but when we contacted for assistance, they tried to help as much as they can with the building maintenance. They go by their own schedule. 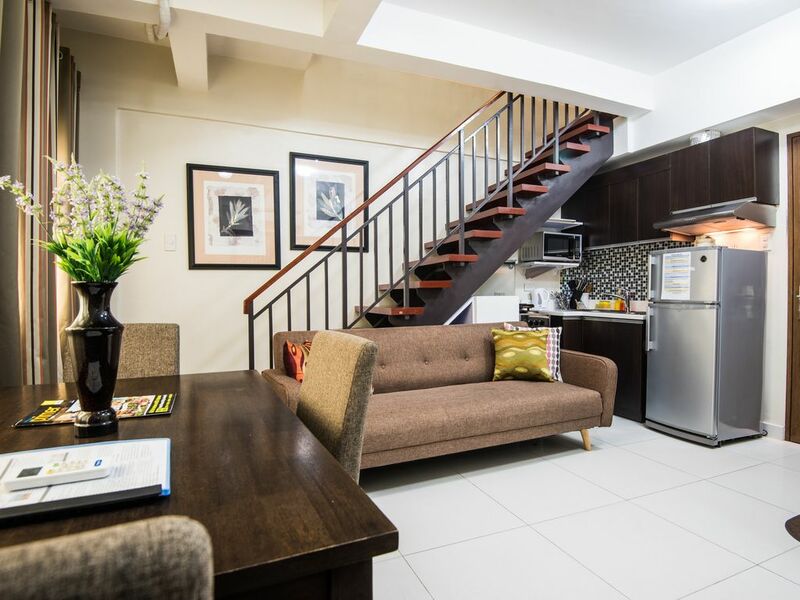 Their other unit in the same building was smaller (Spacious 1BR Loft Makati) but I would stay here again if needed. We really enjoyed our stay with them. Di was very much available even if she wasn't physically present at the time of our stay. Mars, her assistant, was very hospitable and accomodating. The guards were okay too! We only lacked some things in the room when we arrived, but they were delivered to us upon request. We definitely would go back!